This project was for a paver patio. 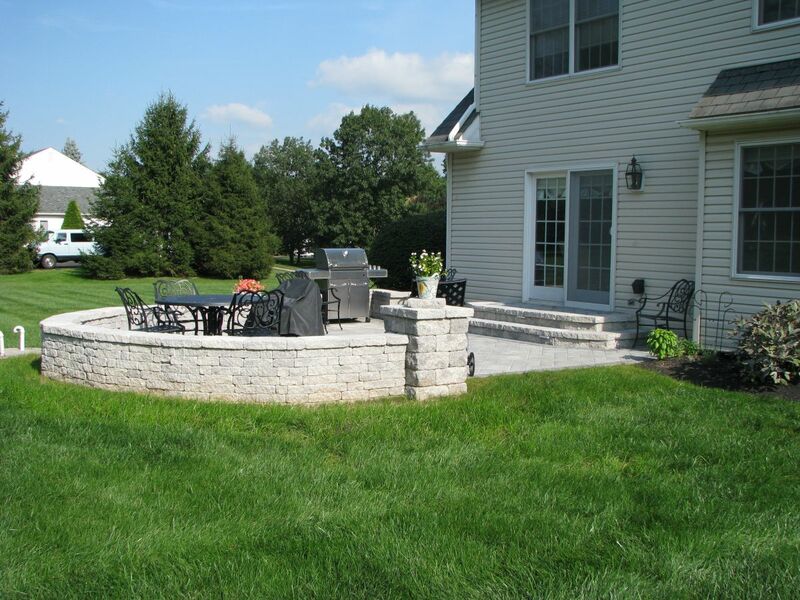 It provides the homeowner a nice outdoor eating and grilling area and was constructed using EP Henry pavers. 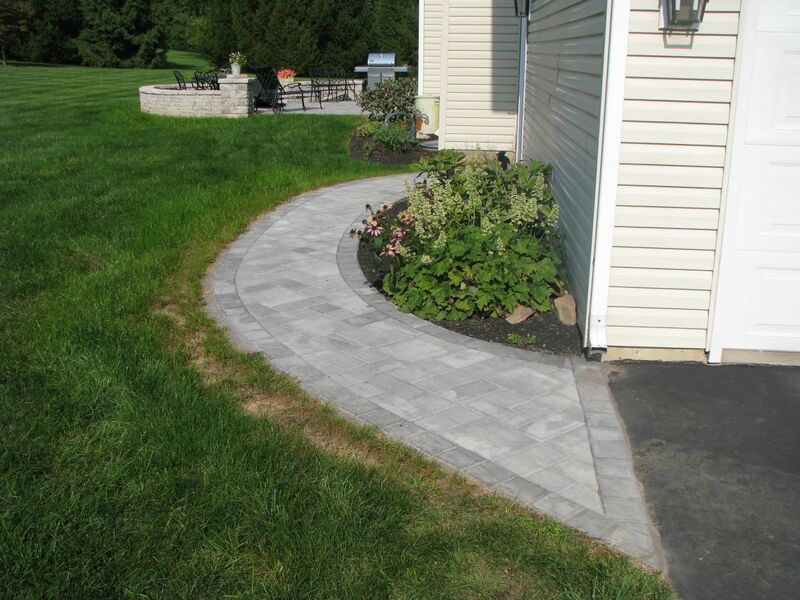 It features a nice curved sitting wall to act as a border on the back side of the patio. We call these walls “sitting walls” because they are built to a height which provides a comfortable seat. The project also features a rounded set of steps outside of the sliding glass door. 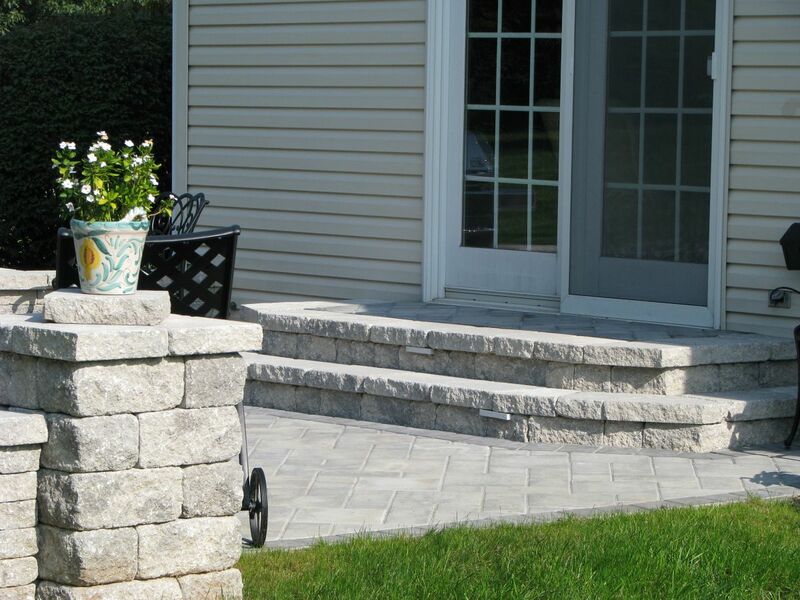 The steps feature a nice landing at door level to provide a comfortable transition down to the patio.